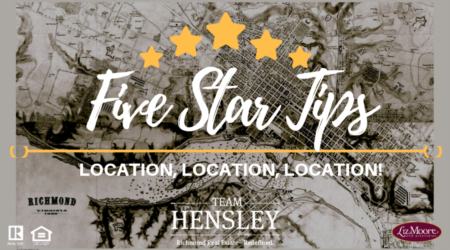 At Team Hensley, we treat all of our listings as Luxury Listings. We believe every home provides a certain luxury to potential buyers and we have developed a marketing plan to showcase that belief. High-Quality pictures are the door to virtual visitors. It is imperative that we create a strong online presence of your home. We hire a professional photographer who utilizes aerial photographs, traditional photographs, detail photographs, and virtual tours to best market your home. We hold your investment with us in high regard and we are dedicated to properly preparing your home prior to putting it on the market. We offer a one hour consultation with veteran professional stager, Bev Bruster, to help you sell your home in minimal time. This strategy, among others, has helped our homes sell for an average of 98.6% of asking price. We have company signage, professional post signs, and specialty signage and riders - all designed to get your home the best visibility. As quickly as possible after receiving your signed listing contract, our graphic designer makes and prints professional color fliers of your home. This reminds the client of how amazing your house is while they are on their house search. Right after your house hits the market we mail out postcards to the surrounding community, letting them know that your house is for sale! Just like the flyer, we use professional photography and an in-house graphic designer to put together a phenomenal post card. Collectively through social media, we reach over 2,800 people organically and quadruple that through paid advertising! With Facebook's ability to target specific demographics, we are able to find the perfect audience to market your home to. Our sponsored advertisements span across Facebook and Instagram to reach thousands of people in the Richmond metro area. We run not only these ads, but our full-time marketing coordinator monitors them to make sure all potential buyers have been engaged!